You're overwhelmed, pulled in a million directions, and thoroughly exhausted. Friend, it's time to get your life back. You want to spend your days well, working toward your goals and doing things that matter. You want to quit running from one thing to the next, and actually have time to rest. You want to spend your time with the people you love, instead of living as a slave to your to-do list. It really is possible to make time for what matters MOST. You just need a tool that actually helps you organize + simplify your crazy life! Get your 2019 planner now! S.O.S.  = Steadfast Over Scattered, because we know you're ready to trade that always-scattered feeling for a more confident, steadfast peace. I LOVE my S.O.S. Planner. It's helped me prioritize my day, and has really helped my anxiety by putting my brain on paper. I've been much more productive, and it's helped my attitude in the home go from frustrated to relaxed and joyful! I’m a total planner junkie. I love planners and everything about them. For years, I’ve shared with you The Ultimate Planner Reviews, while answering questions and helping people choose their perfect planner. Don’t get me wrong, I had found planners & systems I really loved...for a time. But I never found a planner that worked for me in every season of my life. I had a list of things I wanted in this planner - a planner that would basically map out my brain on paper. Every planner I found had one or two qualities I wanted, but never ALL of them. They always sacrificed something. 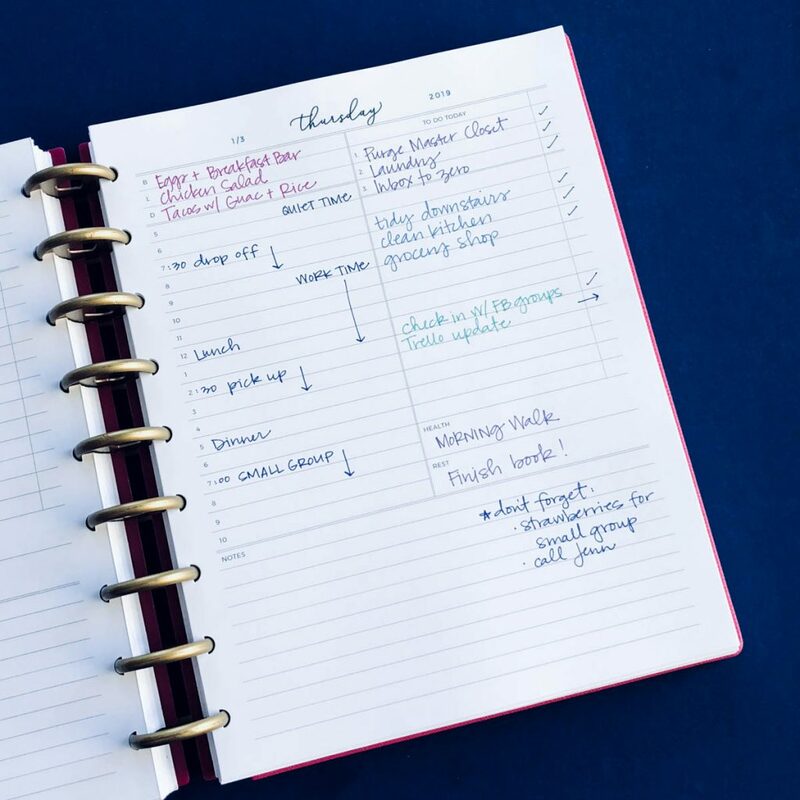 What I needed was a pretty planner that could ALSO organize both my home life AND work life, and help me stay on top of both my daily responsibilities AND our long-term goals. And so, The S.O.S. Planner (Steadfast Over Scattered!) was born. And it has changed my life in the very best way - giving me a place to organize my thoughts + to-do list, and seriously simplify my life. My hope is that it changes yours too, and becomes a tool that you can use to finally get YOUR brain on paper, so that you can quit feeling scattered and start making time for the things that matter most. Purchase your print-at-home planner now! Purchase your pre-printed planner now! Physical planner. Will ship in 1-2 weeks. What makes The S.O.S. Planner different? This is not just another planner. It's a tool created with YOUR REAL LIFE in mind. The S.O.S. 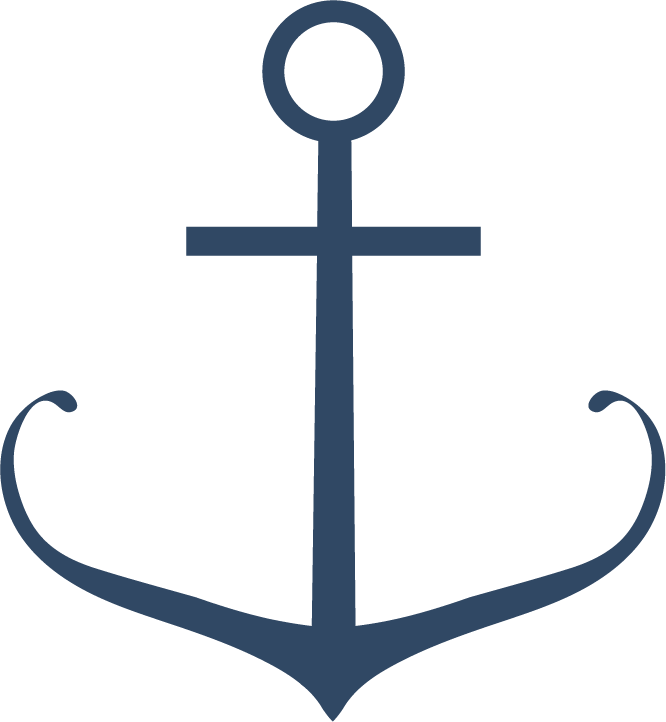 Planner truly helps you trade a scattered life for steadfast confidence. Layouts designed to help you stick to your priorities and get the important things done. Actionable steps to help you create a focused plan for every single day. A completely customizable system in three sizes, with accompanying printable packs. Reminders to give yourself grace + plan for rest, because you were designed for more than productivity. I love having all my lists and schedule in the same place! I also love how there is so much flexibility but still a solid structure. I don’t feel as overwhelmed. I’m so much more productive with my time, and it’s forced me to do things that help me take care of myself, too. Buy the Classic Layout now! $29! Buy the Bullet Journal now! $29! Buy BOTH for just $44! Our Time Blocking Workbook: a step-by-step guide to help you create a daily schedule that actually works! Included with printable planners ONLY; pre-printed purchasers must forward receipt to [email protected] to receive these bonuses. I am less stressed and get more things accomplished. Honestly, it's the most efficient planner I have ever used." 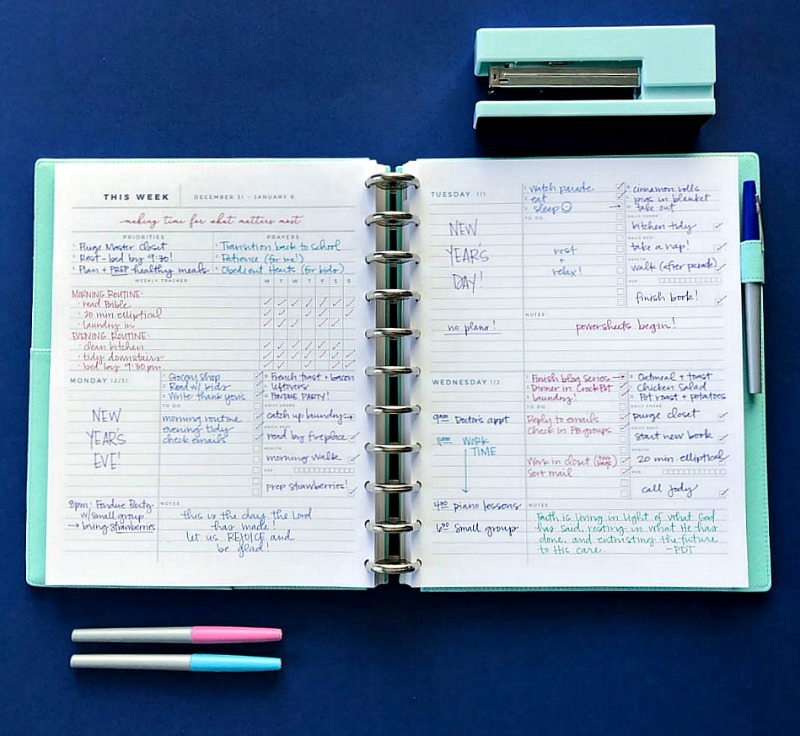 "Most planners almost help me get it all sorted out, but this one prompts me to remember to take care of my goals, my daily work, my household, my loved ones, and myself! I feel so much more on top of ALL aspects of my life." 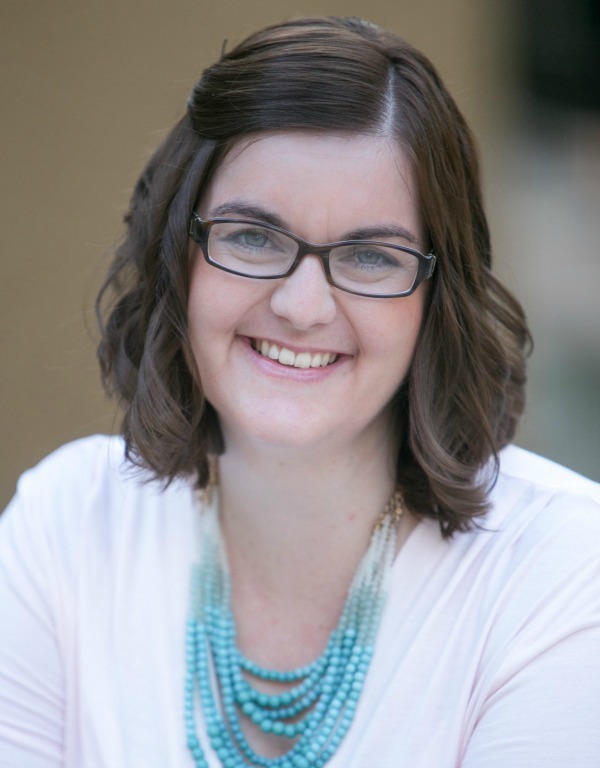 "This amazing planner has allowed me to focus and put my ideas into action. I am more motivated to act because I see what needs to be done, since the planner has a spot for everything I need!" Get your CLASSIC S.O.S. Planner now! S.O.S. Planner! This planner has finally organized this scattered momma! 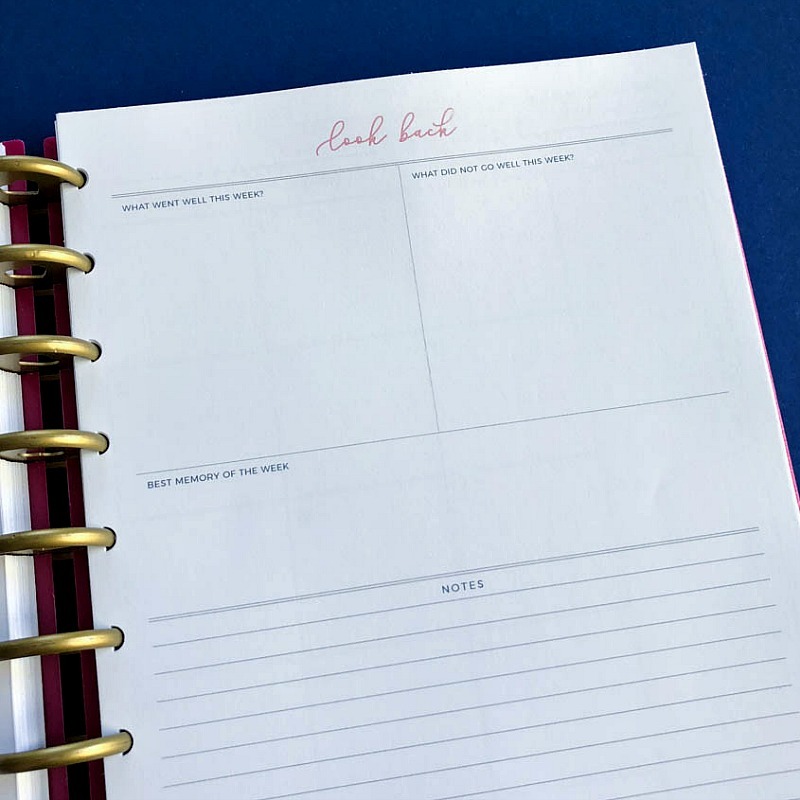 I love prepping for my busy month, week, and day, all in one gorgeous planner. 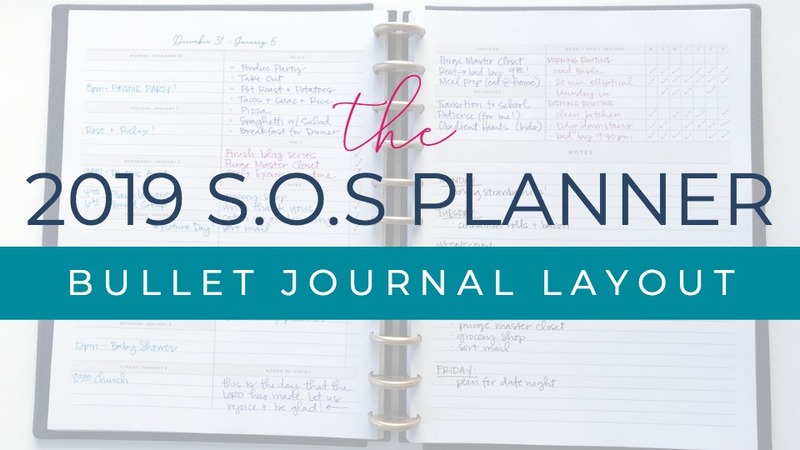 Get your BULLET JOURNAL S.O.S. Planner now! I have a few favorite aspects of the S.O.S. Planner, but I especially love that there’s a place to write down what's happened during the week, so I don't forget what's been going on in our lives. Well, that depends on which planner you've purchased! We offer both print-at-home planners and pre-printed planners. Our print-at-home planners are by far our most popular, and come in both the Classic and the Bullet Journal layouts. The printable planners are digital PDF files, and will be emailed to you immediately after purchase. These planners are much more affordable, and involve you printing them at home. The pre-printed planners are physical planners which are printed, spiral-bound, and shipped straight to your house. These pre-printed planners cannot be customized, as they are already bound. 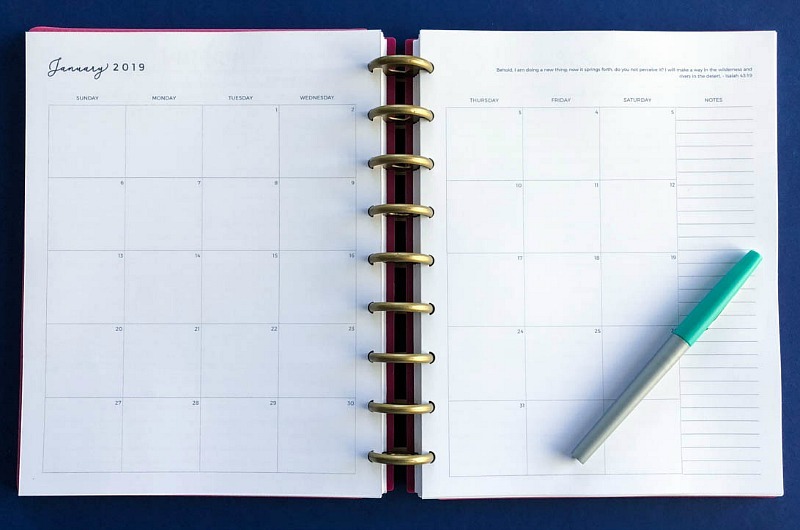 Pre-printed planners are only available in the Classic layout. Purchase your PRINT-AT-HOME S.O.S. Planner! Purchase your PRE-PRINTED S.O.S. Planner! How do I choose which size? And which cover? You don't have to! When you buy the print-at-home planner, you will receive your files in all 3 sizes AND all 3 covers. It's all included so that YOU can decide what you like best, from the comfort of your own home. What's the best way to print The S.O.S. Planner? 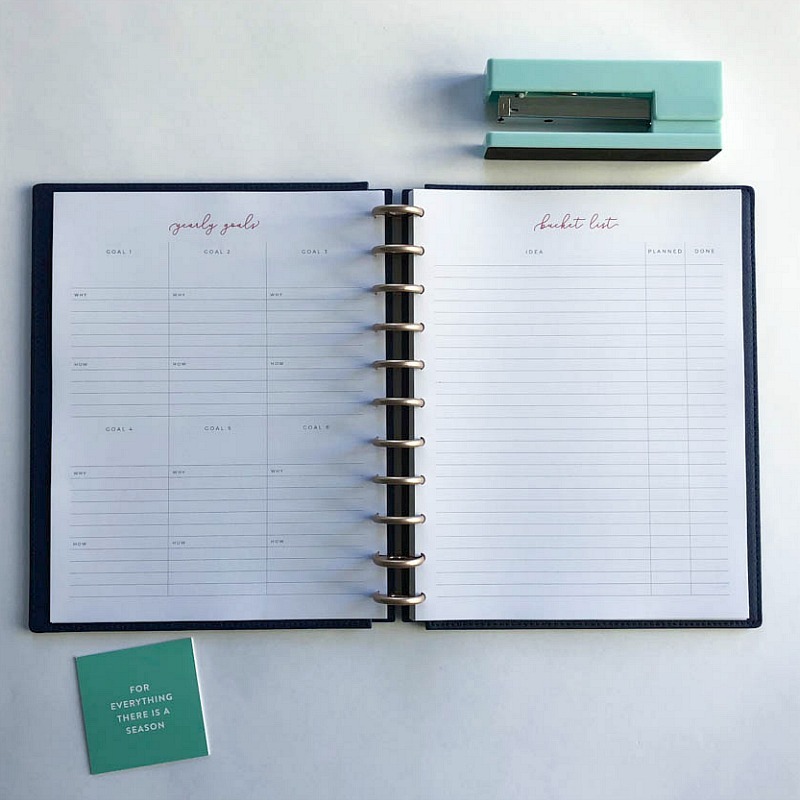 The printable edition of this planner is designed to be printed at home. If you don't have a printer at home, you may want to find an office or a library where you have access to a printer. 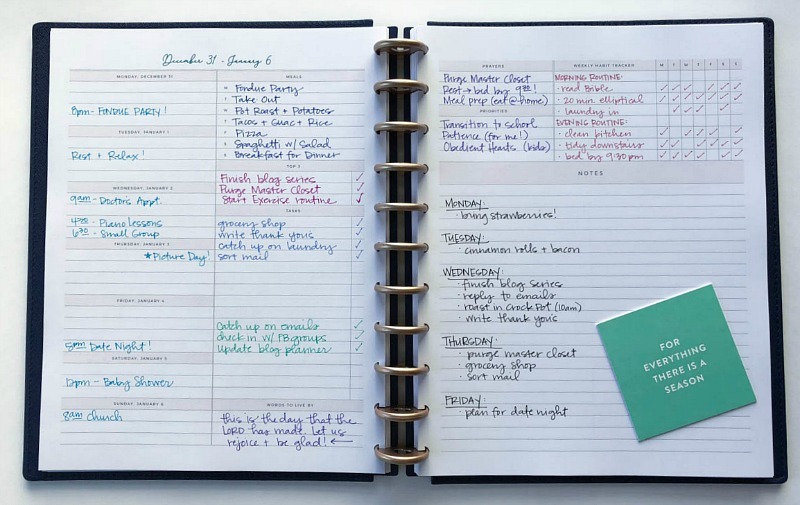 WE DO NOT RECOMMEND getting the planner printed at an office supply store, as this is a much more expensive option. 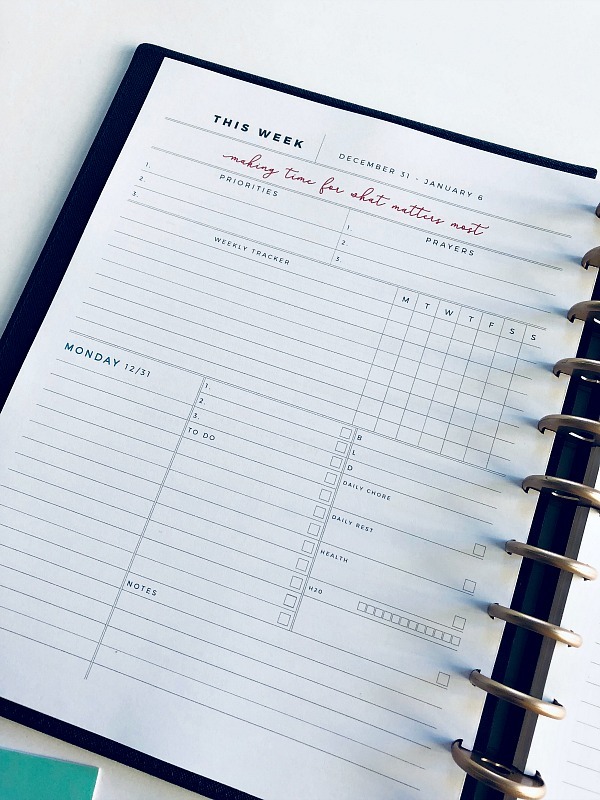 Printing at home is, by far, the most cost-effective way to print your planner, as the planner has been created with thin lines & simple designs in order to use minimal ink. If you'd like to use the printable version, but don't have access to a printer, we do recommend sending the planner out to bestvaluecopy.com. This company does a great job, and costs far less than the office supply store! ​Detailed printing instructions are included with each planner purchase. If you are unable or unwilling to print out the planner, I recommend purchasing the pre-printed version of the planner. What size paper do I print the Mid-Size Planner and the Half-Size Planner on? The Mid-Size Planner measures 7" x 9.25" and is printed on 8.5" x 11" paper. After printing, you'll need to trim the pages yourself, or take them to an office supply store to be trimmed. Printing and trimming instructions are included with your planner purchase. 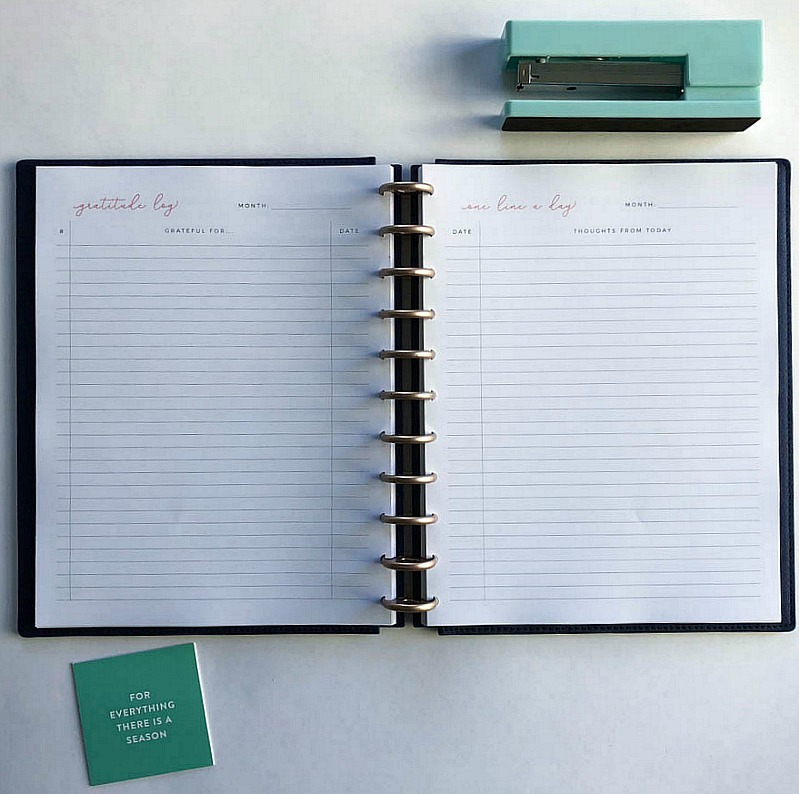 The Half-Size Planner measures 5.5" x 8.5" and is printed on paper of the same size. You can cut standard size paper (8.5" x 11") in half, or you can buy pre-sliced half sheets. Printing and trimming instructions are included with your planner purchase. The Anchored Women Team has exceptional customer service and and Kayse truly cares about each and every one of her customers personally! The care and thought she puts into each of her products is incredible! YOU REALLY CAN GET YOUR LIFE BACK. Choose your planner below, and let's get started! 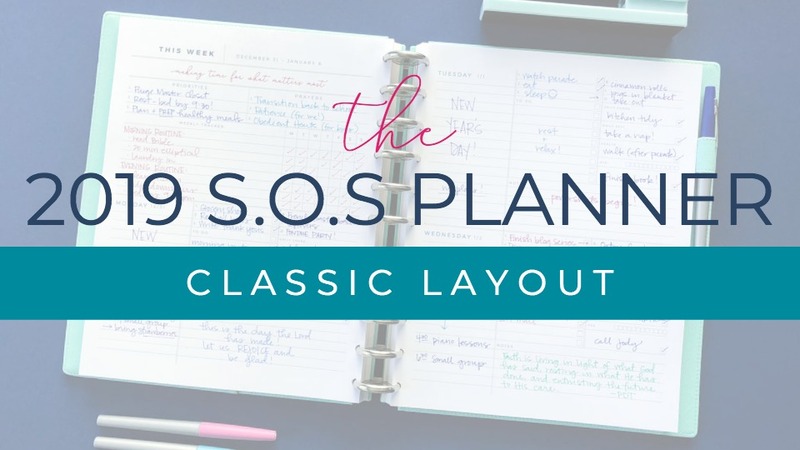 GET THE CLASSIC LAYOUT FOR JUST $29! 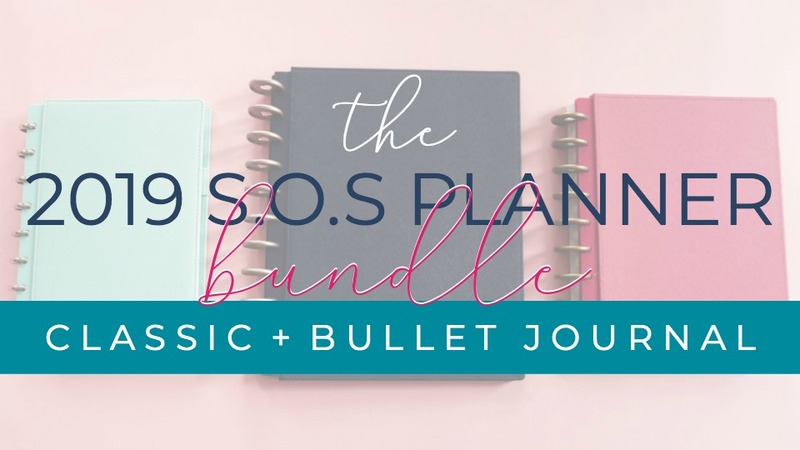 GET THE BULLET JOURNAL FOR JUST $29! GET BOTH LAYOUTS FOR JUST $44! DON'T WANT TO PRINT? GET A PRE-PRINTED PLANNER FOR $60! All sales on pre-printed planners are final.